The Water Environment Federation (WEF; Alexandria, Va.) offers educational opportunities that provide the latest scientific, engineering, and technical information on various water sector topics throughout the year. 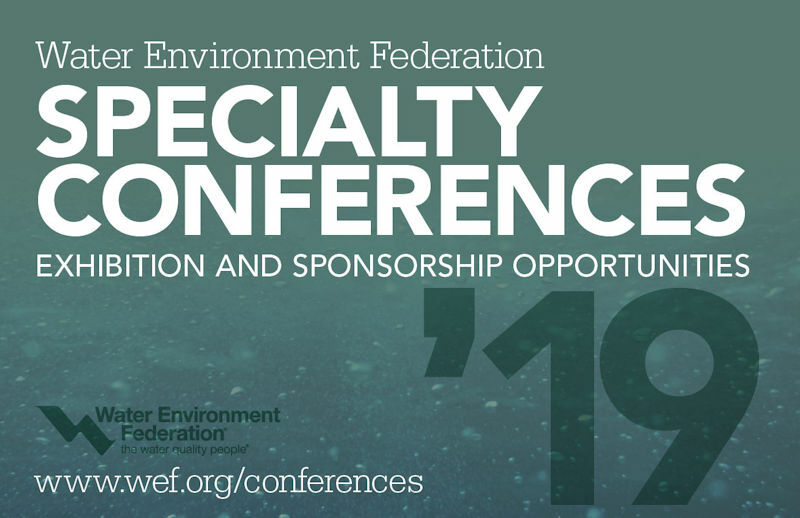 Download the WEF Specialty Conferences 2019 catalog to get more information on WEF’s upcoming conferences and events. Submit presentations by July 31. County Convention Center, Fort Lauderdale, Fla. Greater Fort Lauderdale-Broward County (Fla.) Convention Center. Submit abstracts by Feb. 15. Hyatt Regency Capital, Washington D.C.